If you’re in need of an expert roofing contractor in Marietta, GA, Raborns Roofing & Restorations is the name to know. Our team offers extensive roofing repairs and replacements to the many roofing systems around the city. 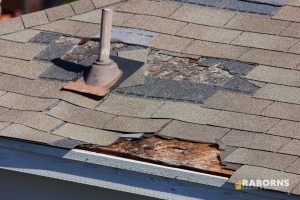 From changing a damaged shingle to a full redo of the whole roofing system, we are the ones for the job. We service all roofing types, for homes and businesses. Call our professionals today at (706) 814-3207 with all of your questions and concerns about roof repair and replacement in Marietta, GA. If you don’t happen to find the service that you’re seeking on the list above, please feel free to give us a call at (706) 814-3207. Our helpful team is more than happy to explore how we can assist you. Raborns Roofing & Restorations goes above and beyond ensuring that you’re getting premium grade roofing services in Marietta, GA. Additionally, we want to assure that the entire process is as stress-free as possible. whole process and are certain to leave the work area as tidy as we previously found it.|Once we have provided you with an extensive summary of exactly what we’ll be doing, we’ll start working as soon as possible and ensure you that we will leave the site as clean as it was before. Outstanding roof repairs and installations are what we feel that every single one of our customers should receive. Regardless if if your home needs a slight repair or you’re looking to completely shift the appearance of your commercial roofing system, we can take care of it for you. Your 100% satisfaction is our top for us. If you’re not totally content with the finished product, then we still have more work to do. Whenever you are searching for a roofing company in Marietta, GA that you can rely on, make sure that you reach out to the pros at Raborns Roofing & Restorations. Feel free to call us at (706) 814-3207.